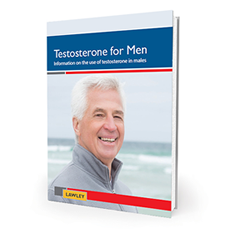 Male testosterone levels can change for a variety of reasons. Regardless of the cause for testosterone deficiency, the symptoms are fairly universal. Testicular disorders or brain disorders can also affect testosterone levels. The term ‘male hypogonadism’ is the medical phrase used to describe men with severe testosterone deficiency. Male hypogonadism is the most common form of hormonal deficiency in men, affecting 5 in every 1000 men. Testosterone deficiency in men is easily treated but if must first be correctly diagnosed by an experienced doctor. Find out more about the process of diagnoses on the next page.